Why use Ashley Madison when you can use Tinder? If you're looking for some conversation fodder for the dinner table tonight, consider the question: "Hey, you're not on Tinder, right?" In a recent report from GlobalWebIndex, the firm found that out of the 47,000 Tinder users it polled, around 42% answered that they were either married or in a relationship already, while 3% said they were either widowed or divorced. What does that leave? Only 54% of the group identified themselves as "single." 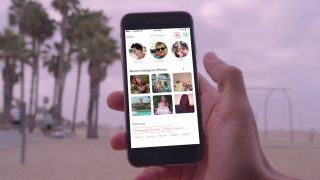 The company found that men were more likely than women to use the app (around 62% of the people surveyed were men), but it's unclear whether more men or women were likely to use the app for polyamorous purposes. Before we jump to conclusions, though, we should probably have a bit more info. Are these people active users? Are the ones in a relationship - or worse, married - sending messages to potential dates? How many of these users also have an Ashley Madison account? For the time being all we have is the hard data, posted for your convenience below.